So much more than a chunk of coral rock. 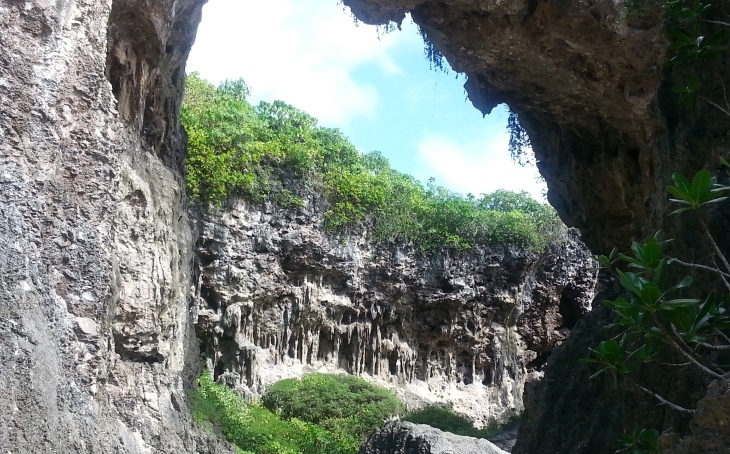 Until we discovered Niue for ourselves, it was just a chunk of rock in the Pacific Ocean. The fact that it’s colloquially called ‘The Rock’ didn’t help. In our minds we saw a steep-sided paving stone with precipitous cliffs and toe-tingling rope ladders reaching down to the ocean. Not an ideal holiday environment. The reality, however, is something very different to this imaginisation. We discovered this years too late. We would have liked to have known the truth about Niue 10 years ago. It would have saved a lot of mucking around in tropical paradises that weren’t the right kind of tropical paradises. For people who want to do more than laze on a beach beside a pure turquoise lagoon (turquoise only because it’s entirely devoid of coral), Niue is the ultimate Pacific adventure playground. Every day there’s a new place to snorkel, a different cave to explore and another sea track to follow. And wherever you roam on the 2,400 square kilometre island (four times bigger than Rarotonga), people are few and far between. There are only 1,200 permanent residents on the island and about 7,000 visitors every year (actually, maybe I shouldn’t be writing this article…Niue’s emptiness is part of its charm). One thing that particularly grabbed us was the provision of a shower/toilet arrangement at the top of almost every sea track. So incredibly thoughtful and visitor-friendly. 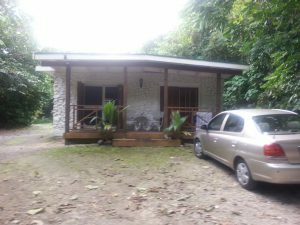 We rented a coral-rock cottage in the jungle, which came with its own car. Every day we set off with masks, snorkels, hiking shoes and a bunch of snacks to explore another chunk of the island. I had a close encounter with an uga (land crab); both of us (that’s me and the crab) jumped with surprise. I took pictures. The crab took to its heels. Another memorable day involved snorkelling the outside of the reef at Limu Pools. We swam through the tunnel to beyond the breakers, had a great mosey around, and then realised we couldn’t see how to get back. Happy ending fortunately – just down the coast was a boat ramp, so we swam with the currents until we could safely make landfall. We slithered up the ramp then stomped back to our car feeling decidedly stupid, not to mention lucky. While Niue and fine dining aren’t words that would usually share a sentence, we did have some sublime food experiences. There’s a great Japanese restaurant called Kai Ika that deserves its 4.5 star Trip Advisor rating. Apart from sushi, tempura and sashimi, it serves a great pizza. We weren’t expecting that. Another excellent meal was found at the Matavai, the island’s only resort hotel. The restaurant was worthy of a posh frock and the classic coconut-husking show was fun. Did I mention that Niue means ‘look, a coconut!’? Up the road from our cottage was our other main source of food – a Kiwi guy selling local fish from a collection of refrigerated containers. Exceptional tuna for about a third of the NZ price, and other interesting varieties too – yahoo for wahoo I say. 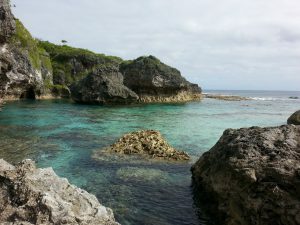 Niue is a great place to watch fish and eat fish. Bring your own soya sauce and wasabi. We’re just about to head back to Niue, this time for longer. It will be the humpback whale season and we’ve booked a cliff’s edge cottage that faces northwest. Sunsets, whales, unlimited ocean views, tuna for dinner, snorkelling at the bottom of the cliff. Nothing more to want.